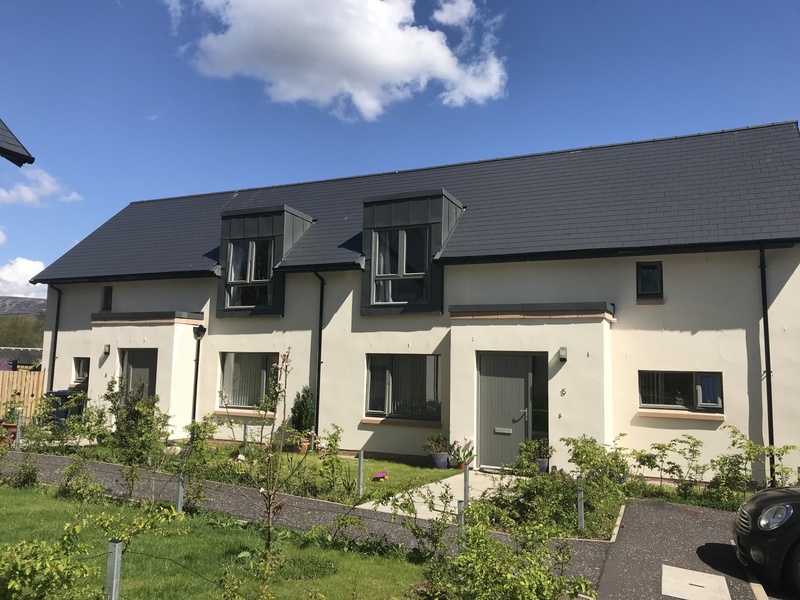 Working in partnership with Link Housing Association Beinn Dubh View, located within Luss Village Loch Lomond is a development comprising 4nr semi-detached houses and 1nr detached bungalow, complete with associated siteworks, site development and servicing. 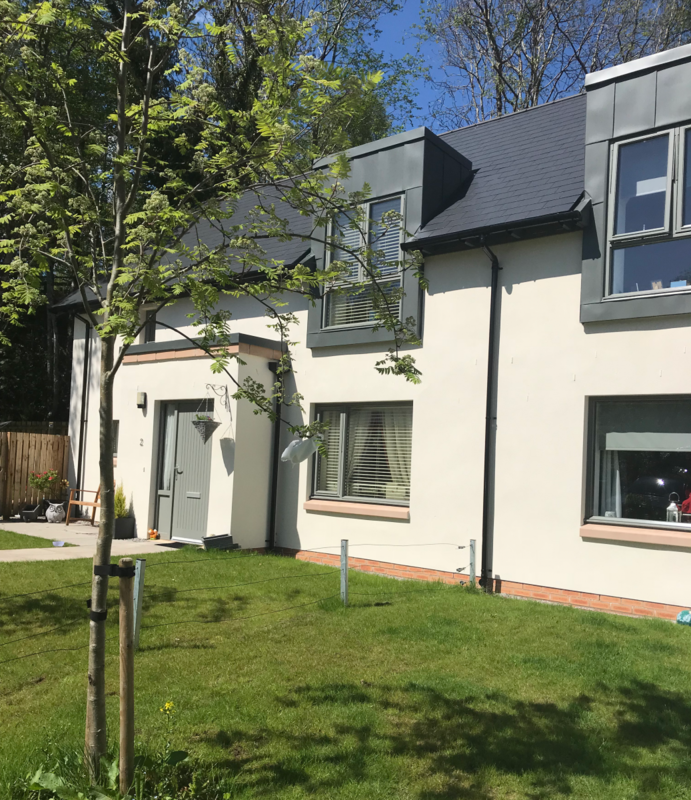 The 5 large family built houses, were constructed to an energy-efficient design, including high levels of insulation and heating delivered through air source heat pumps, while the ‘silver standard’ of building regulations were adopted. JR Group together with our design partner Anderson Bell Christie worked closely with Luss Estates and Loch Lomond & The Trossachs National Park Authority to ensure the design and look of the properties would blend in with the surrounding conservation area. As part of the contract we were heavily involved with the local community with outcomes including 2 new apprentice starts, donations to Luss primary school, construction of new fencing & gates for the school, presentations, site visits and burial of a timecapsule within the grounds of the development.